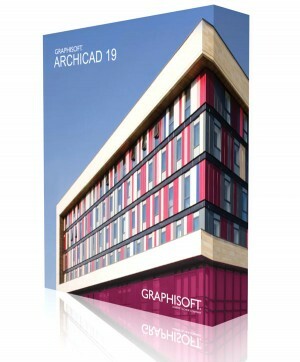 ArchiCAD 16, the software voted Best in Show by Architosh magazine has begun shipping! That’s good news for you because beginning Tuesday, July 10th a trial version of ArchiCAD 16 will be available for download in North America. Go to MyArchiCAD.com to get the ArchiCAD 16 trial version and experience key new features such as the MORPH™ tool, an optimal solution for creating custom BIM components, custom structures and custom elements of the built environment, as well as custom-designed building interiors. The Built-in Energy Evaluation found in ArchiCAD 16 allows architects to perform reliable dynamic energy evaluations of their BIM models within ArchiCAD from day one of design, using BIM geometry analysis and accurate, hour-by-hour online weather data from the building’s location. You’ll also learn how to access BIMComponents.com, a cloud-based, ArchiCAD-integrated community database, that allows users to create, search, upload, and download the custom BIM components of their choice directly within their native BIM application. archicad fait parti des meilleurs logiciels BIM que j’ai jamais utilisé. can you get archiCAD on samsung galaxy tab 2 ? How to download archicad 16 i i can’t download it on myarchicad.com. It only allow me to download archicad 20. I’m not sure if this technique still works, but read this post for how to get access to older versions of ARCHICAD.